Dinosaur Comics - April 14th, 2017 - awesome fun times! –Many hundreds of years ago, things were done in different ways! 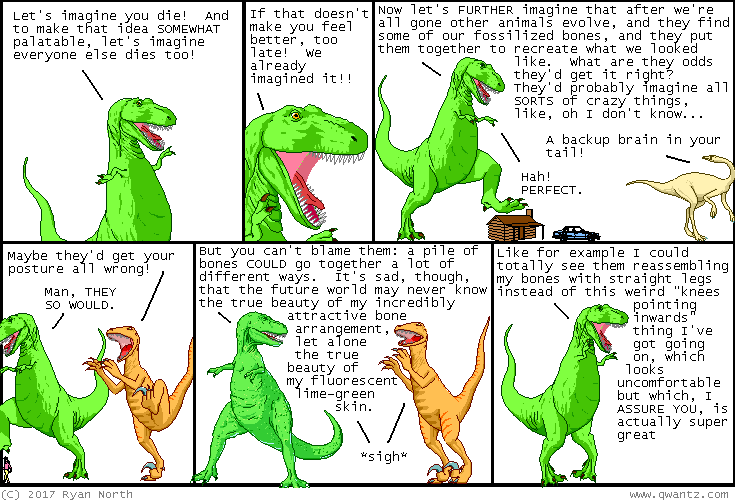 April 14th, 2017: Is this the first time I've address T-Rex's leg position in the last panel? Listen, it's been fourteen years, I finally decided it was time! !